*Picture shows the 91307-L6 bin on top, with the larger 91307-L8 on bottom. 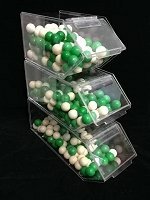 Take your products vertical and save space by offering products in these unique stackable plastic containers. Oblong Stackable jars not only save space, they are attractive too. These oblong containers are fabulous for edible items, novelties, personal items, and so much more. A case of 14 offers plenty of space for your merchandise. Place at the checkout or line them up on a shelf. 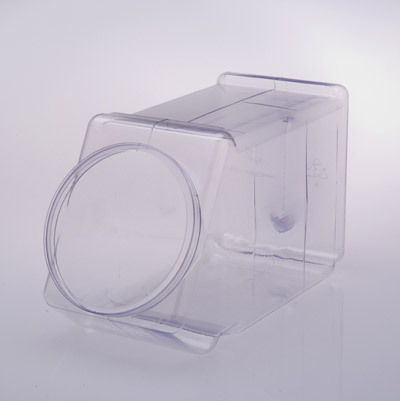 Plastic bins also offer the clear format that shows off your products, but offers the non-breakable advantage over glass. A great deal. Start your purchase today! 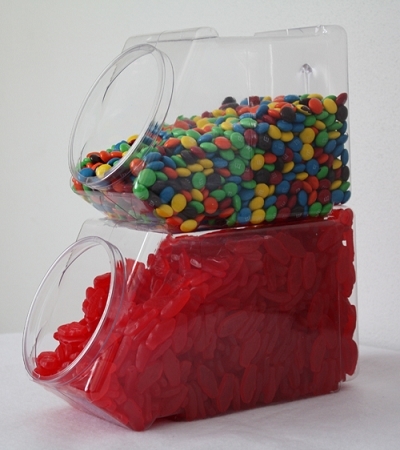 Perfect containers for the Candy Bar we had at the holiday party. They will be recycled to hold office supplies! These stackable jars are just the simplistic touch for my fudge set ups! They display my item well & pop together nicely... Thanks for your service! God Bless!